When I wake up, it is because someone has poured poison into my mouth; sluiced it around my gums, dripped it between my teeth. When Nancy was eleven years old, she decided to go on a diet, The Diet, as she called it. At first, she gets a lot of positive feedback as her weight drops. Noone seems to notice how extreme the diet is getting. And before she knows it, Nancy has full-blown anorexia. This book immediately pulled me in and I read it in a little over a day. It has one of the most powerful forewords I have ever read. It was often heartbreaking to read, particularly the parts that described her sense of self and the way she feels about how she looks. When I try to talk to her about my overachievement obsession, she does her worried look and says things like: ‘Sometimes it is OK not to be perfect, you know, Nancy.’ I hate it when people say things like this because I know it’s not true: I do have to be Perfect. If I am not Perfect, I am flawed. If I am not Perfect, no one will like me. If I am not Perfect, I am nothing. The descriptions in this book about anorexia are unflinching and often brutal to read. There is a sense of urgency throughout the book, that makes you suffer with her and begging her to eat something. Shorn of the romanticism of half-sleep, the sourness swamping my mouth is banal: ulcer after ulcer, chomped down upon by hungry night-time teeth, has oozed a putrid river of pus while I slept. I really suffered with her. I was shocked by how far she would go and what she would do in order to avoid eating, from lying to hiding food down her sleeves to faking weight gain. The only thing that distracted me from the story being told in this book was the excess capitalisation. It made sense a lot of the time, talking about The Voice in her head or The Diet, but sometimes it was just too much. This book doesn’t end with Nancy recovered, past tense and everything is great. I liked that it showed that recovery is an ongoing process, that there is no neat ending to an eating disorder. The mind is the single most menacing threat to man in his entirety; if the mind decides to turn in on itself, gnaw away at itself, catabolise itself – that’s the end of a life. 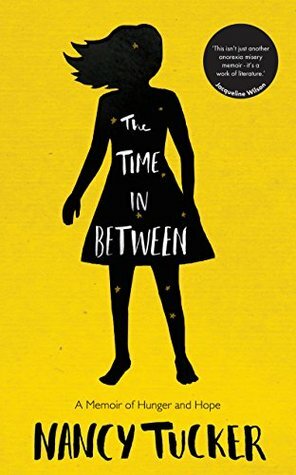 A very well-written, heartbreaking and honest book about eating disorder that drew me in immediately. Thank you for the review! Would you mind doing a review of the book I wrote about my recovery? You can read it for free at emilykatenoren.com. Just click “Read Unsinkable” from the menu. I’d love to know what you think!